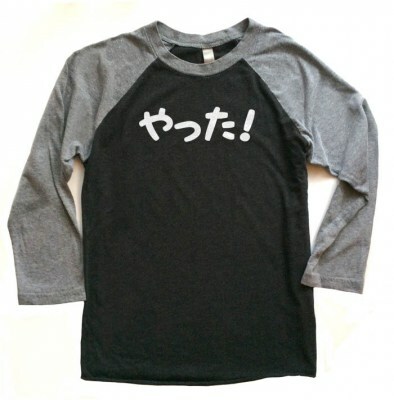 Nama mugi, nama gome, nama tamago, meaning "raw wheat, raw rice, raw egg" is a popular Japanese tongue twister. 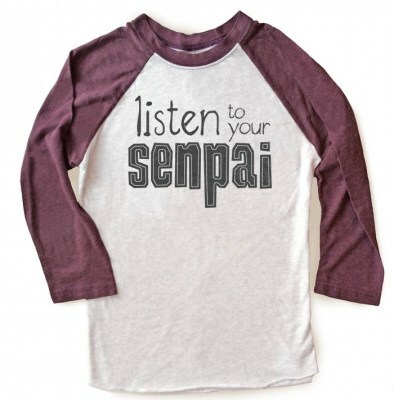 How fast can you say it? 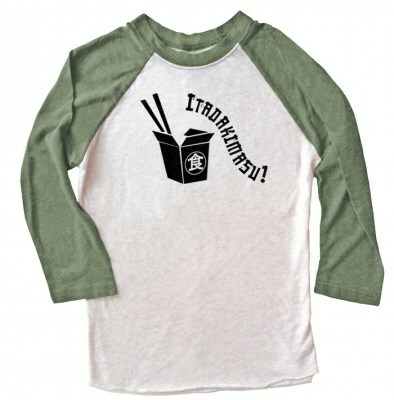 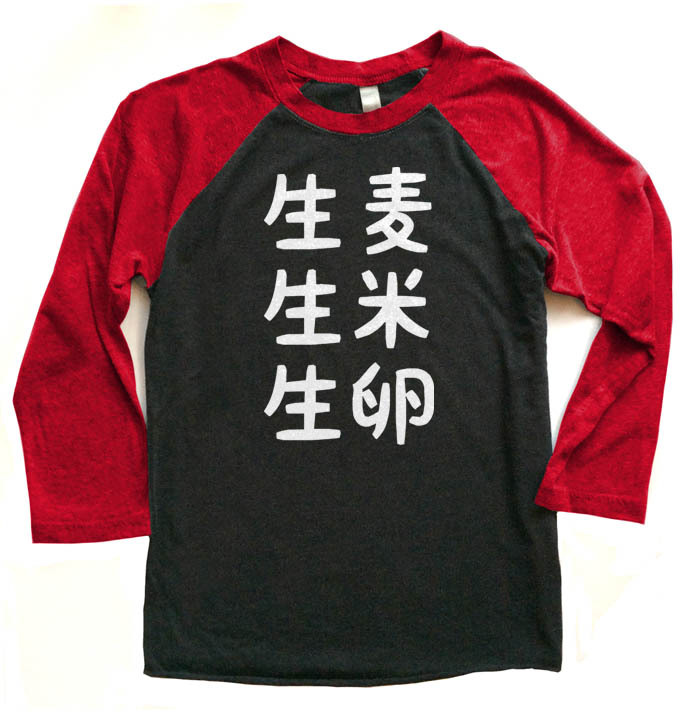 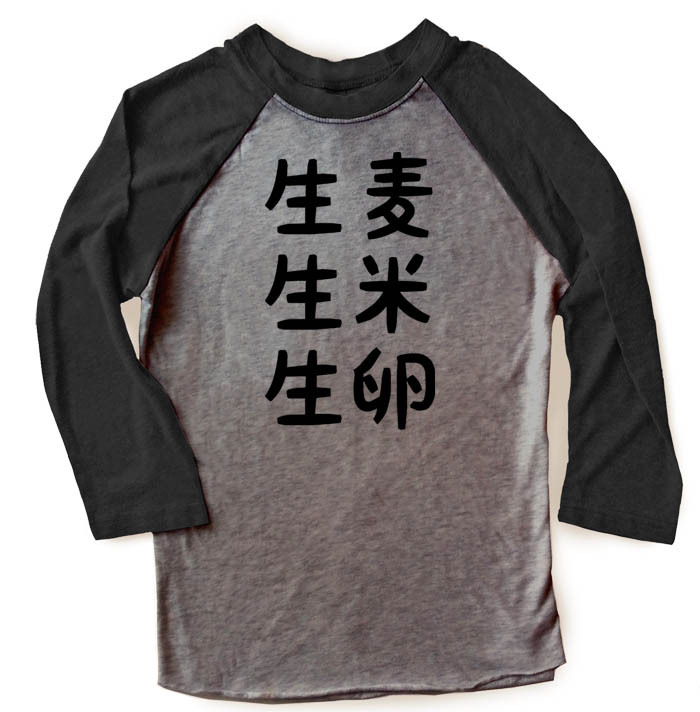 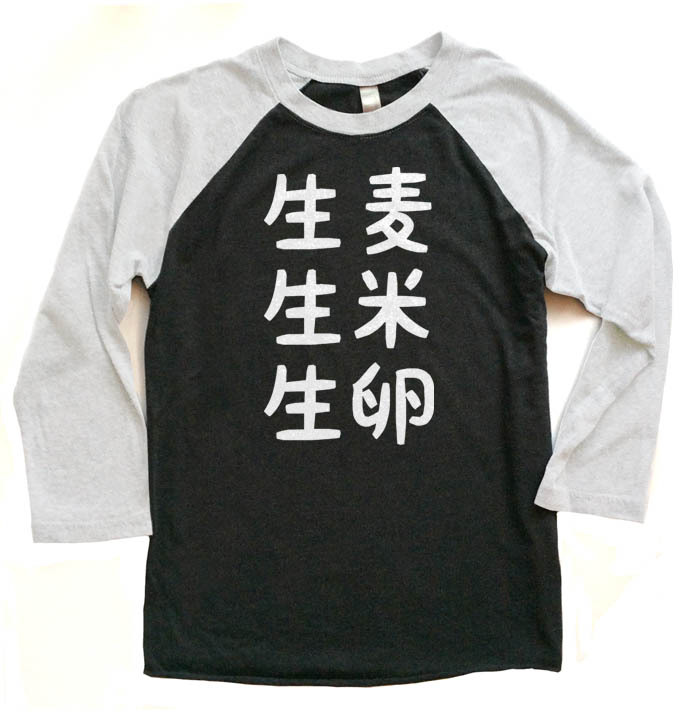 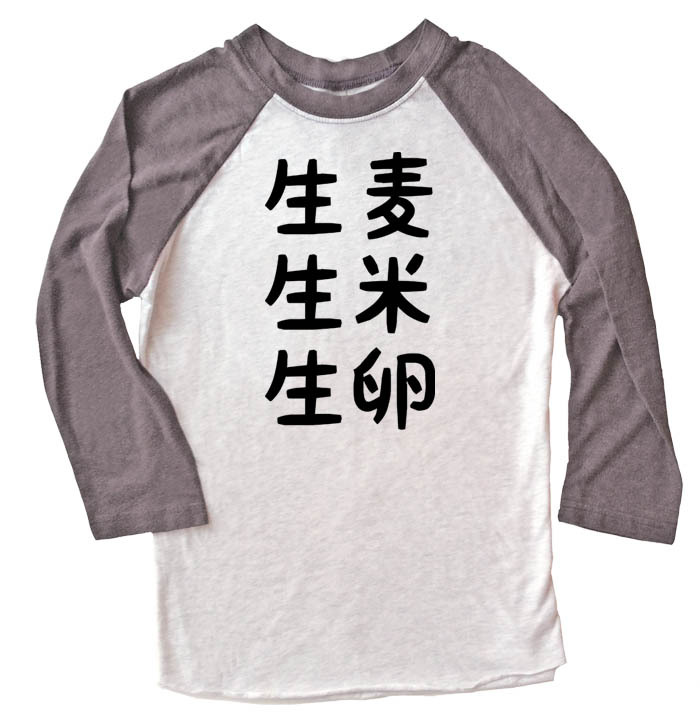 This unique kanji t-shirt makes a great gift for Japanese language students. 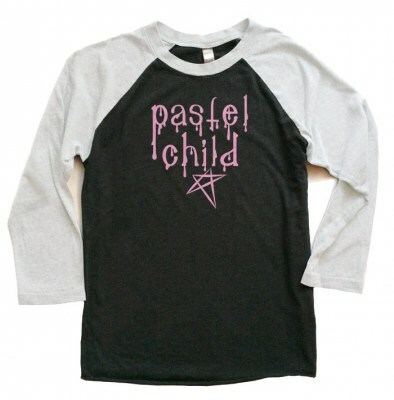 These two-color baseball raglan shirts are one of our favorite items. 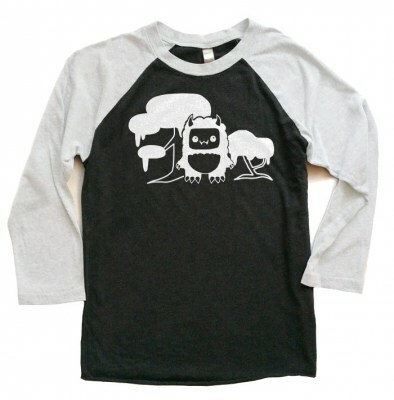 Made of 100% cotton they are crazy soft and have a stylish modern fit for men and women alike.